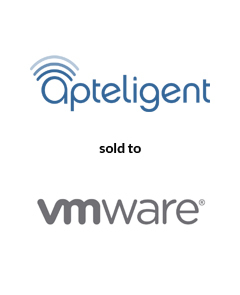 AGC is pleased to announce that its client, Apteligent, a leader in mobile application performance and analytics, has been acquired by VMware. Apteligent further reinforces VMware’s commitment to enabling the next-generation Digital Workplace with analytics-driven user experience, intelligence-based decision automation, and highly scalable mobile-first cross-cloud enterprise solutions. With a team comprised of Rob Buxton, Greg Roth and Kyle Howard-Johnson, AGC served as the sole financial advisor to Apteligent. This transaction continues AGC’s extensive track record representing companies that provide mobility solutions, from infrastructure to applications.